Welcome to the Sportskeeda Power Ranking of attackers in the Premier League. The ranking is done after every gameweek on a cumulative basis to decipher the final top 10 come May. The main criteria for ranking the players is their contribution to goals, either by scoring them, or creating them which includes deflections and penalties won as well. When two or more players are involved in an equal number of goals, the type of assist (direct or deflected), the importance of the goal/assist, the consistency in performances and the minutes per goal/assist is considered to rank them. So, a player scoring/assisting in three consecutive games will have a higher ranking than a player picking the same number of goals/assists in one game and drawing blanks in the rest. Similarly, a player scoring winning goals, having better minutes per goal/assist will occupy a higher position. The power rankings further act as a guide for players of Fantasy Premier League (FPL) because the list consists of the most consistent players, as well as relevant statistics for fantasy managers to act upon. Firstly, the previous Gameweek’s poll on the best attacker for Gameweek 22 saw Harry Kane nab the win with 65% of the votes. His superb hat-trick for Spurs did the trick for him in the end. You can vote for this week’s best attacker at the end of the article. 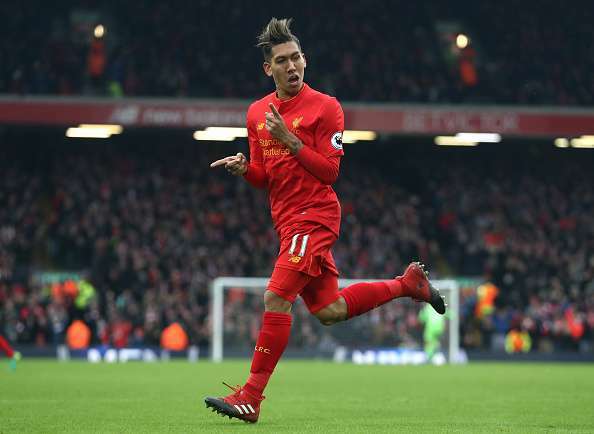 In Gameweek 22, Liverpool’s title hopes suffered a serious dent as they lost to bottom-dwellers Swansea at home. Manchester City and Tottenham played out an entertaining draw as they dropped points along with Manchester United, who salvaged a point thanks to Wayne Rooney’s record-breaking goal in injury time. Arsenal left it late to secure 3 points and Chelsea extended their lead at the top with a routine win. A relatively low-key week for the top attackers and yet some interesting changes in the hierarchy took place. Let us begin by taking a look at a relatively lengthy watchlist for this gameweek. Lallana has hit a slump in form in recent games and it can be echoed in the team’s results as Liverpool have failed to win in the last 3 games. While the work-rate and creativity are still on display, the end-product has gone missing and it has coincided with a change in position from central midfield to the front three. Defoe failed to score for Sunderland as they lost to West Brom on a gameweek where Swansea pulled off a sensational win at Liverpool to move out of the bottom three. Defoe is shouldering the task of preventing Sunderland from getting relegated and when he fails to score, the Black Cats more often than not drop points. The West Brom player is known to have a sweet left foot and he used it to great effect to score an absolute belter of a goal from the edge of the box that slalomed into the net. The goal brings him to the watchlist for this gameweek. The Manchester City winger is having a fine season under Pep Guardiola although the hesitation to shoot still persists, especially with his weaker left foot. The trend continued against Spurs as he preferred not to shoot with his weaker foot. However, he was involved in Kevin de Bruyne’s goal and it was his cross that Hugo Lloris spilled for the Belgian to score. The Arsenal playmaker re-enters the ranking in the watchlist with a fine assist for Arsenal’s opener against Burnley, scored by Shkodran Mustafi. He needs to get his consistency back to make it into the top 10. The Burnley forward scored a fine penalty in injury-time against Arsenal to equalize for Burnley and makes his way into the watchlist. Despite the late equalizer, Arsenal managed to scrap a win and Gray’s goal went in vain. Now, let’s find out the top 10 attackers after Gameweek 22. 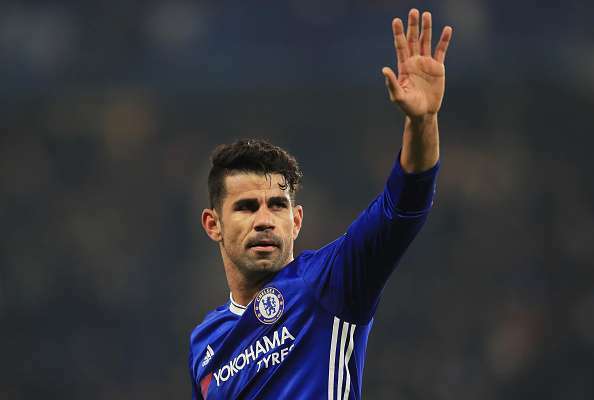 After all the talk about the training bust-up with Antonio Conte and the latter’s explanation that Costa missed last weekend’s game due to injury, the striker was named in the starting XI and all was forgotten. Costa put Chelsea into the lead as normal service resumed at Stamford Bridge. Costa had another good chance when set up by Cesc Fabregas, but his shot was blocked by the Hull keeper. The goal is sufficient for the league’s joint-top scorer to re-enter the power ranking at 10th place. Fantasy Tip – Diego Costa has been involved in 6 goals in his last 7 starts for Chelsea.